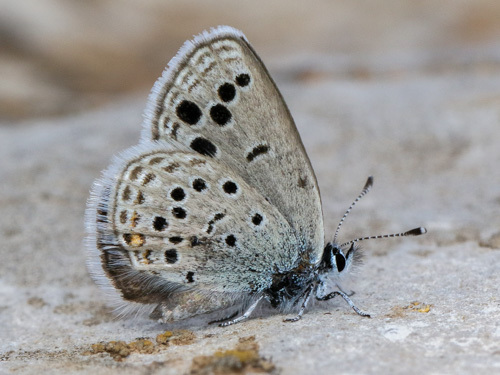 A tiny species of exceptionally limited range in Europe, known from only 2 mountains in southern Greece where it lives in a few extremely small colonies. 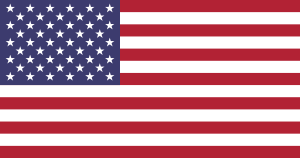 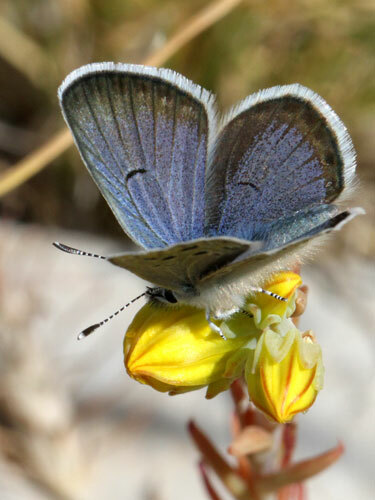 At these locations it is rather common but that doesn't reduce their vulnerability to human exploitation, over collection by professional (and other) butterfly collectors and climate change. 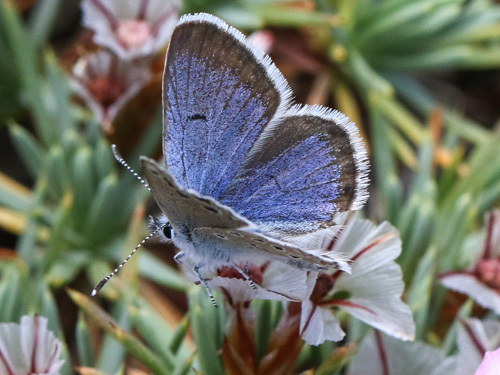 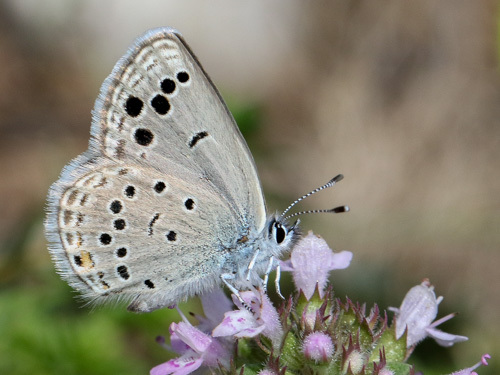 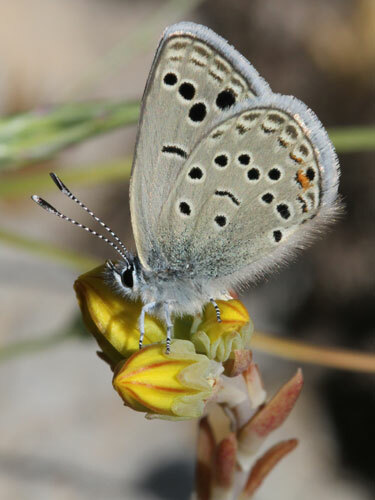 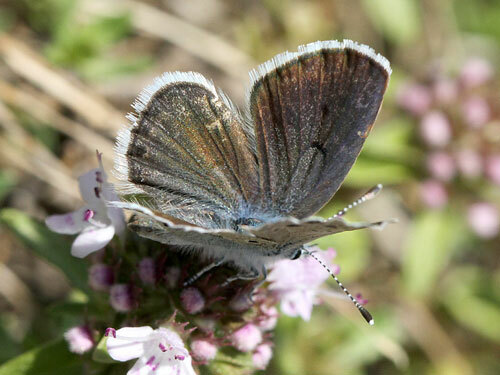 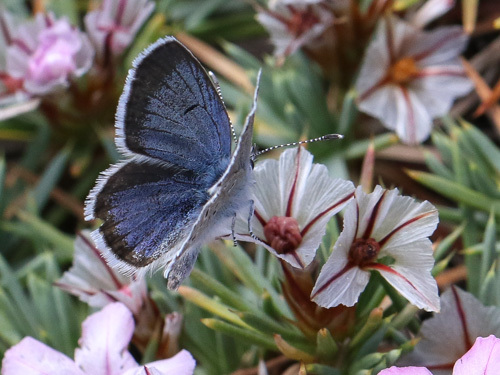 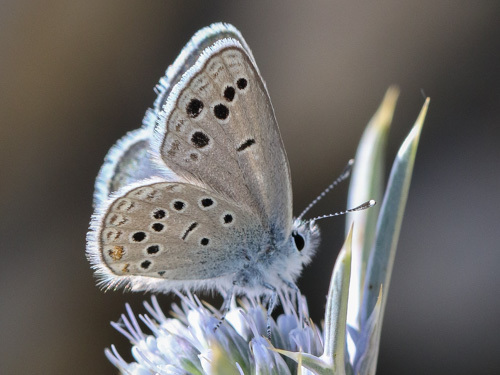 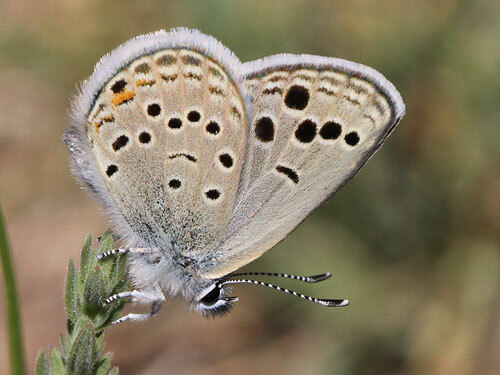 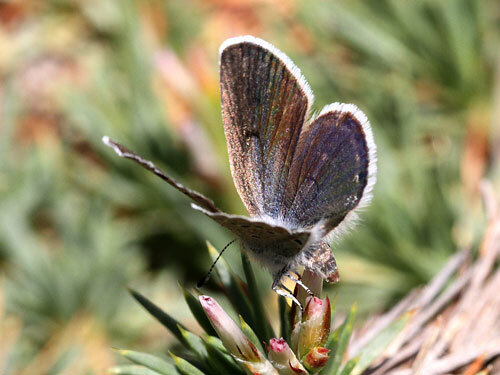 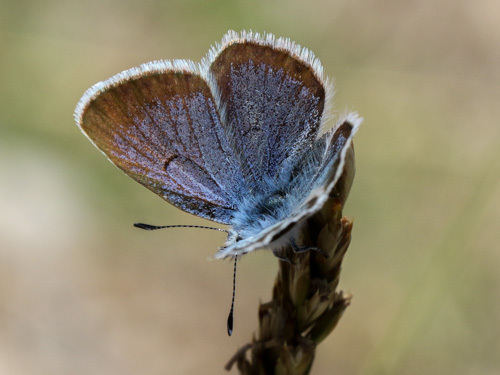 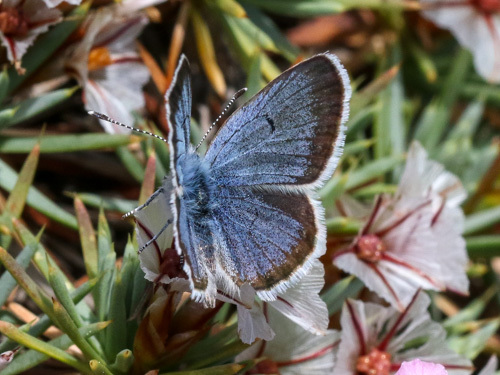 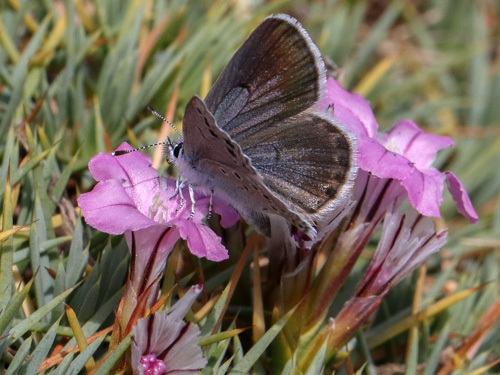 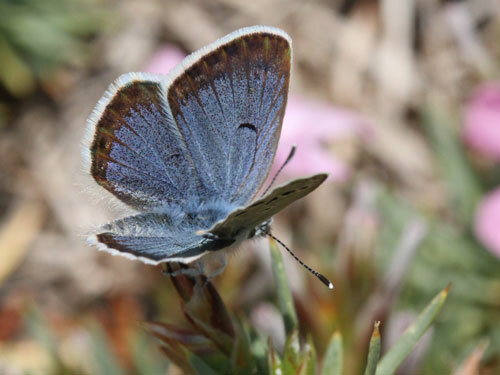 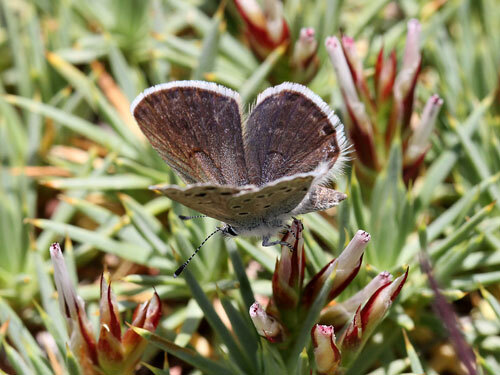 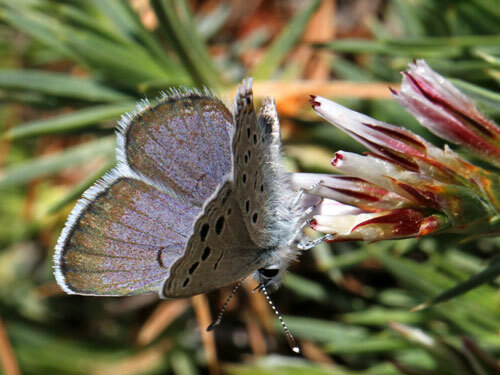 See my comments on collection of this and other very rare species under the species Chelmos blue, Polyommatus iphigenia. 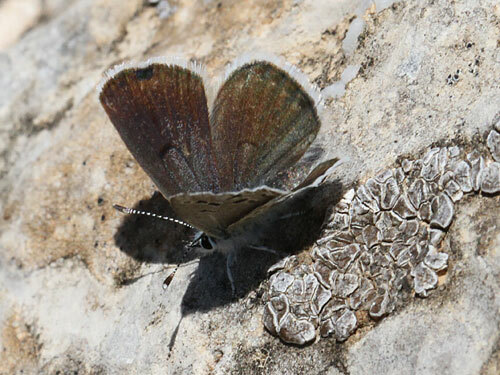 Identification & Similar species: No other similar species fly in its extremely limited range. 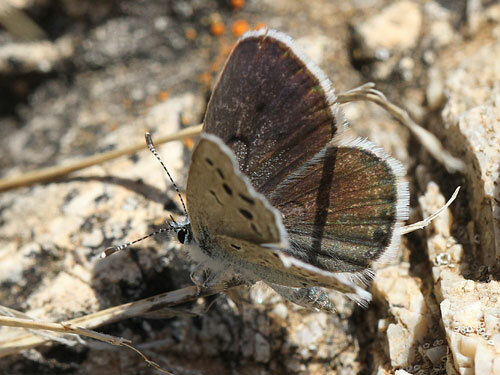 One spot on the underside forewing is characteristically displaced outwards. 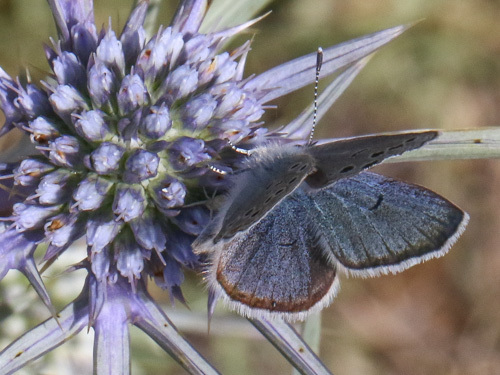 Distribution & Flight: Only from Mts Chelmos and Taygetos from south Greece where they are rare and fly in extremely local colonies. 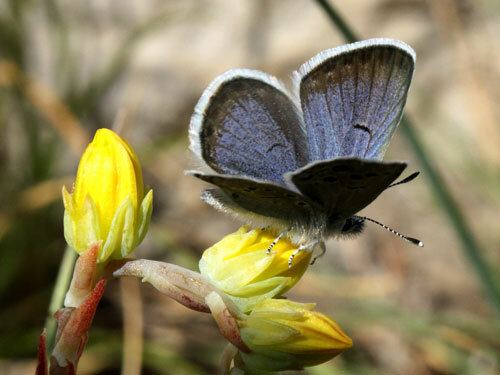 Habitat & Behaviour: They are so small can easily be overlooked. 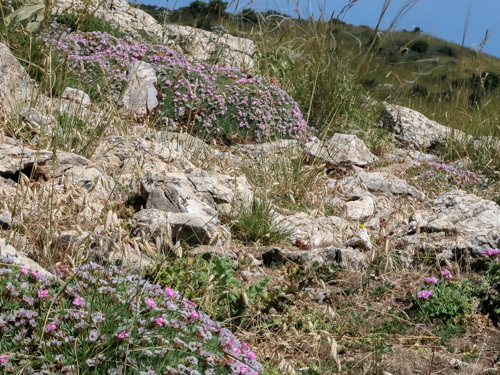 Key to finding them must be finding the distinctive food plant, prickly thrift, Acantholimon androsaceum. 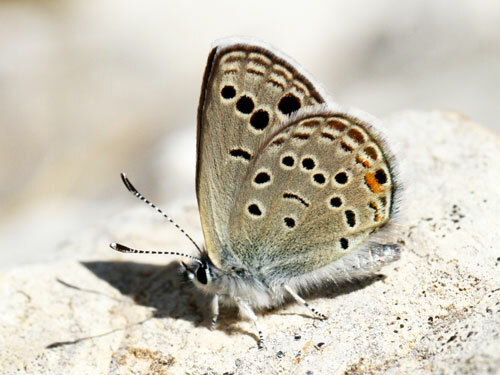 They fly very close to the ground and at a distance of more than a meter or two the eye is unable to follow them. 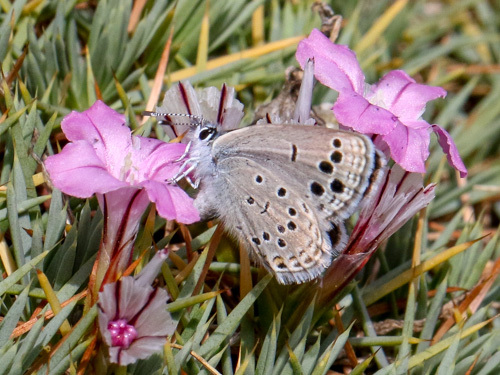 Pink flowered larval food plant in abundance on open rocky mountain tops.